9 Solid Reasons Citing Why Professional Marketers Harness SMS Marketing Services Into The Marketing Campaign? SMS is indubitably the fastest, easiest and cost-effective ways today to help reach out to your targeted recipients, which is why it has become a goldmine for a majority of markets in the market. Despite the fact that SMS is not a new thing in the market but it is an upward trend which continues to thrive more and more with the passage of time. Also, it is no longer a secret that almost every person in the world owns a mobile device and the open rate for SMS is also relatively high which is 98%, which altogether make SMS as the most effective marketing tool for marketers. When it comes to cost, SMS marketing entails fewer expenses, which is a highlight and attracts a maximum number of marketers. From a small-sized confectionery shop to a multinational large-sized business, SMS marketing can be done without costing a fortune. Based on your personal preferences and needs, you can choose a pay-as-you-go messaging option which helps limit your marketing expenses broadly. No matter which global location you are located in, one SMS will cost you a dime or a few dimes and will typically result in a massive uptake coupled with a perk, for example, a whopping discount or any other exciting offer. Decidedly, it is easy to conclude that SMS Marketing is actually more cost effective than the cost conventional media incurs. Have an internet marketing campaign to make a great success? Then it is a bang-up idea to consider SMS marketing to put the info across your intended audiences fast. A lot of preeminent SMS services providing companies offer a hassle-free, no set-up option facilitating you to put a message across an unlimited number of people almost in a wink provided that you have a state-of-the-art messaging platform for the same. Considering today's hectic and busy life schedule of customers, it is a level-headed idea to neatly incorporate SMS into your website platform to give alerts to them regarding location-based sale or offer, catching them on the move. You do not vie with an overloaded inbox or a vast range of internet messages. You do not sit in the lurch for your end user to walk past your store window or signboard. A mobile device will do the job very well by giving alerts to its owner as soon as an SMS turns up, giving it instant importance and precedence over other messages. Once you have integrated specific keywords into an SMS brief code, this facilitates your end users to readily and using their own free will to opt-in into your database to receive news updates and latest irresistible offers. There you are- you will receive a host of new and exciting leads that will wow you! Hire a preeminent bulk SMS service providing company and you have the opportunity to keep a tab on your messages. With the consumption of various hottest offers and dating it back to sales, particularly in e-commerce, this, by the way, stands second to none for marketers. Basically, every Iphone and Android phone comes equipped with browsers, which makes sure that you can track click-through with URL-briefing links, for example, bit.ly, picture-perfect length for an SMS. It is common for people to have multiple email addresses and social media profiles but most of them generally have one or two mobile numbers today. Similar to email, you have the convenience to customize your messages to the right targeted audiences in the exact time and exact location. SMS marketing solely intends the end users who have formerly opted for to hearing from your end, with that said, you have the flexibility to be more personal and specific in your messaging. SMS Marketing is a great way to help make your customers feel out of the ordinary by offering them tempting offers, cordial invite to hottest events and so on. If you continue to send them such hottest messages, they will like to come back to you time and again. Reading the blog end to end, hopefully, it is clear to you that SMS is a relatively faster, easier and cost effective method in the market for making the hard-hitting marketing campaign an unsullied success. 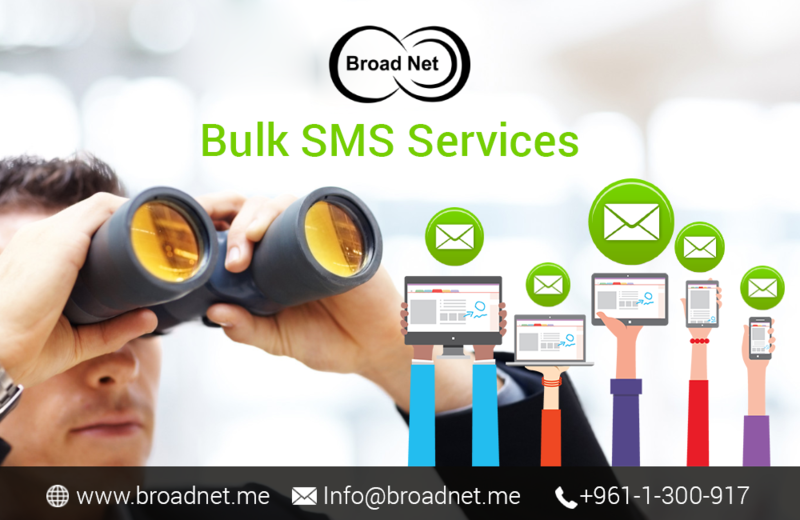 To get more pull of information on how SMS Marketing can be beneficial to your business, log on to www.Broadnet.me now.